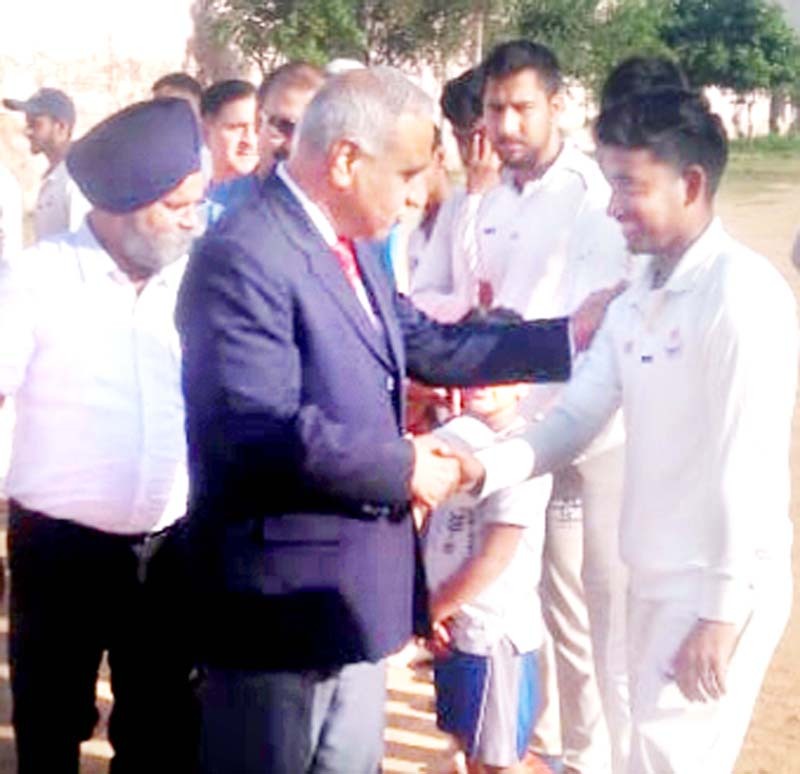 Former DGP Dr Ashok Bhan and Advisor for Sports and Youth Affairs, Govt of Lakshadweep, Ranjeet Kalra interacting with players at Parade Ground in Jammu on Saturday. 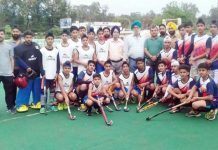 JAMMU, Apr 13: Sports and games are the best medium to promote peace and harmony through the messengers of peace (sportspersons), besides infusing spirit and inculcating discipline in youth. This was stated by Dr Ashok Bhan, former DGP and member Shri Mata Vaishno Devi Shrine Board (SMVDSB) as a chief guest on the valedictory function of the 6th Baisakhi T20 Cricket Cup 2019 at Parade ground, here today. He said sports apart from helping youth in overall development of their personality, also serves them as a career option in the present era. “In the modern era sports is a profession. People get jobs on sports backgrounds, besides earning handsome money by representing the State at the National and International scene,” said Dr Bhan. 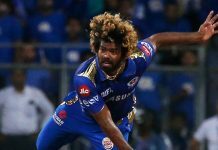 Lavishing praise on the players for showing professional approach and killing spirit, Dr Bhan said that the time is ripe to see good number of cricketers from the State blossom at the higher levels like IPL etc. Dr Bhan was accompanied by Ranjeet Kalra, Advisor for Sports and Youth Affairs, Govt of Lakshadweep as the guest of honour and SSP RK Bhat as special guest. The sponsors of the event-Charanjeet Singh, President Jammu Wine Traders Association and Ashish Singh, Managing Director Horizon Group were also present on the occasion. Earlier, Rajesh Gill, Coordinator of the event presented welcome address and gave brief report of the event. 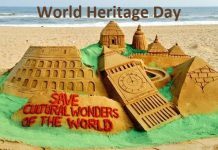 Ranjeet Kalra while speaking on the occasion lauded the efforts of the organisers for holding the event in a befitting manner. He also requested Dr Bhan to initiate a process for providing better facilities at the Parade Cricket Ground, which is known as the Mecca of Cricket in Jammu and Kashmir. Earlier, Simula Cricket Club defeated Parade Sports Association Club in an easy contest by 10 wickets to win the title trophy of the 6th Baisakhi T20 Cricket Cup, organised jointly by Jammu and Kashmir Police Department and Vishal Cricket Club. Batting first, Parade Club scored a modest total of 99 runs in 20 overs. Skipper Dhruv Mahajan top scored with 31 runs, while Rohan Koul and Ateev Saini contributed 20 and 17 runs to the total respectively. From Simula Club, Sahil Sharma took 4 wickets Kuldeep Kumar bagged 3, while Akash Choudhary and Ritik claimed one wicket each. In reply, Simula Club chased the target easily in 12.1 overs without losing any wicket to win the match by 10 wickets. Puneet Kumar played a brilliant innings of unbeaten 62 runs before retiring hurt. Another opening batsman Hinan contributed unbeaten 21 runs to the total. Puneet Kumar was adjudged as the man of the match, while Akash Choudhary bagged the man of the tournament award. Nipun Verma and Sahil Sharma were named best batsman and best bowler of the tournament respectively. 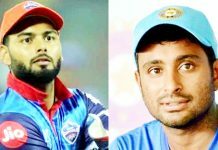 The match was officiated by Dayal Singh and Ashok Singh as umpires, while Janu was the scorer. The proceedings of the valedictory function were conducted by Commentator Rajesh Dhar.